Can making together improve outcomes for first time mums? During this project first time mums have the chance to attend workshops where they can chat to a midwife about their pregnancy while working with an artist to make something special for their baby. Making Mothers is a research partnership, developed by Craftspace together with Birmingham City University School of Midwifery which aims to test an approach to the provision of antenatal care. 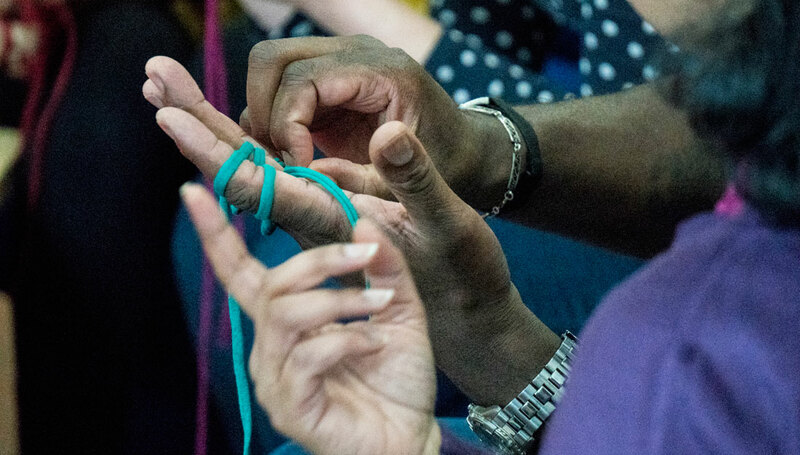 Using a collective making activity alongside midwifery support we hope to prove the value of creative engagement as part of midwifery care, suggest new models for antenatal intervention and offer a group of pregnant women an experience at a significant moment in their lives. The project builds on sympathy group theory (Costello 2018) where group support solves challenges and difficulties and thus communities become stronger.